High quality at reasonable rates. JJ Smith Window Cleaning are experts in window cleaning with 35 years experience. We offer a reliable and friendly service and we are fully insured. We make sure every job is finished to the highest standard. From Bungalows to high rise buildings, no job is too big or too small. Our aim is to keep every one of our customers happy. We use both Reach & Wash, which is the safest and most cost-effective cleaning method, and Traditional with ladder and Squeegee. We make sure all frames and sills are cleaned. With over 35 years’ experience in window cleaning, we ensure your windows are thoroughly cleaned. We use the very best equipment and go the extra mile to ensure your windows and frames look their best. We are covered up to £5,000,000 for peace of mind for both the customer and us. We have public liability which will cover any damage caused to your property or premises by ourselves. We are a company you can trust on your property and always happy to help. We want all our customers to feel comfortable to approach us. With considerable attention to detail, we take our time on every job to ensure all of our customers are happy. "Always on time, Great service. Would highly recommend." "Gave my conservatory a new lease of life, looks brand new." "Friendly and reliable, 5 star service"
"Job always finished to a high standard." 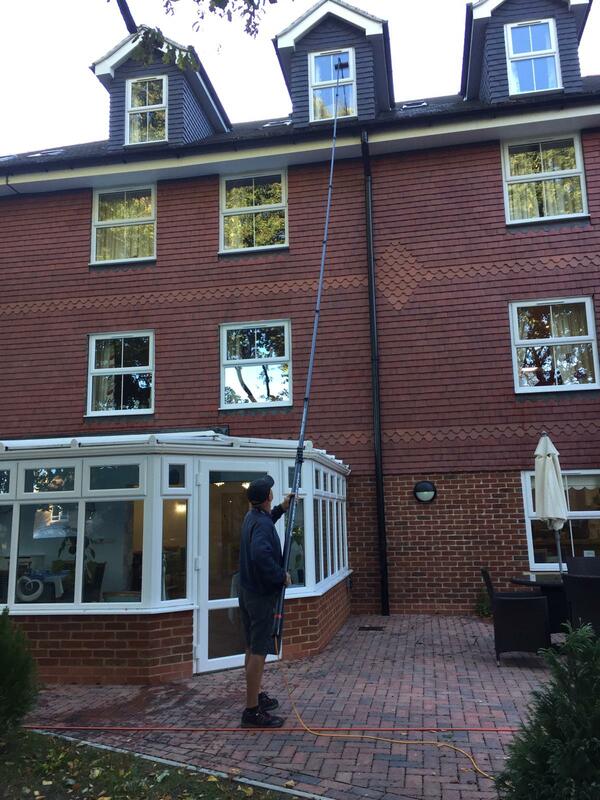 JJ Smith Window Cleaning are experts in window cleaning with 35 years experience. We offer a reliable and friendly service and we are fully insured. We make sure every job is finished to the highest standard. From Bungalows to high rise buildings, no job is too big or too small. Our aim is to keep every one of our customers happy.